Bernadette first found yoga more than 36 years ago & began to train as a British Wheel of Yoga teacher in 1988. She has developed & continues to develop her own approach over many years of both teaching a learning and aims to offer personalised, individualised guidance in all classes, recognisng the varying needs of those attending.She encourages an emphasis on self observation, alignment & close awareness of the breath drawing on a vast range of techniques that are accessible and practical as well as working with subtle energies. As well as the BWY diploma, she holds the BWY “post graduate” diploma in Pregnancy yoga and has pioneered the teaching of prenatal yoga for the past 20 years. Her classes, workshops & therapies have been & continue to be endorsed & recommended by midwives, health visitors , hynobirthing practitioners, NCT teachers & GP’s. She is a Teaching Practice Observer for student yoga teachers/pregnancy yoga teachers for the BWY & accredited organisations. She has a Well Woman Yoga diploma from Birthlight and has been teaching this pioneering approach to yoga for the past 8 years. These classes support women through various stages of their life’s cycles, including undiagnosed infertility, PCO, menopause, endometriosis and much more. She has been working as a massage therapist for the past 17 years and has diplomas in Anatomy, Physiology & Massage; Indian Head Massage; Baby Massage Instruction & has advanced level certificates in Pregnancy Massage; Trigger Point Therapy; Neuro Muscular Technique; Hot Stones Massage and Ayurvedic Foot Massage. She is a Reiki 3 (Master level) practitioner and qualified Magnetised healing teacher & practitioner. She is fully insured, has up to date DSB. She is a teacher /practitioner member of BWY., FEDANT, Birthlight, CThA & REPS (level3). She is required to regularly attend CPD days in order to maintain her approved teacher/therapist status. Bernadette is a British Wheel of Yoga diploma holder. Bernadette is a certified Teaching Practice Observer Teacher for student BWY teachers/pregnancy yoga teachers & accredited organisations. Bernadette has been a qualified massage therapist for over 15 years with diplomas in Therapeutic Massage, Indian Head Massage and Baby Massage Instruction and has certificates in Pregnancy Massage, Neuro Muscular technique, Ayurvedic Foot Massage, Hot Stones Massage and Trigger Point Therapy .She is also a Reiki Master practitioner. Bernadette has part 1 & 2 diploma in Well woman yoga from Birthlight.. She is one of very few people in the UK teaching this unique approach to Women’s holistic health. “Over 30 years I have been privileged to have taught thousands of yoga students, from newcomers to the experienced, some briefly and some for many years, some young and some not so young, men & women, pregnant women, post natal women with their babies and children. All have taught me so much and for this I am most grateful” My massage & Reiki practice in Greenwich has steadily grown over the past 17 years, along with the range of treatments provided. There is always so much more to learn. “I wanted to let you know just how invaluable everything you taught me at your classes was for my labour – I really don’t think I could have done it without you. Giving birth this time round has been one of the most empowering experiences of my life”. “The midwives were impressed with my positioning, control & calmness at the delivery stage…all in all a fantastic experience and all down to what I learnt at your class, as well as the self confidence it inspired in me & my partner. “Hi Bernadette, I wanted to let you know just how invaluable everything you taught me at your classes was for my labour – I really don’t think I could have done it without you. Giving birth this time round has been one of the most empowering experiences of my life. I managed to give birth to Wilma at home, completely naturally, in the birthing pool supported by my partner Luke and my incredible independent midwife I used the rectangle breathing throughout until I had to start pushing, right at the end of the seven hour labour in the early hours of new year’s day. By managing the pain with the breathing I was able to relax, which in turn made the contractions more bearable and I was able to use a number of yoga positions and moves to give myself more room too, even right towards the end. I made good use of the directional breathing too, especially towards the end when the baby was pushing right down on my sacrum. Now I understand why you always make such a big deal about pulling your sitting bones apart! “I was fortunate enough to meet Bernadette when I was expecting my daughter. Her knowledge, teaching methods and kindness helped me immensely during a pregnancy which could have been very stressful as I have already had three miscarriages. Her lessons are well structured yet very relaxed. Each participant receives advice one one to one basis”. “Just wanting to announce the birth of my little girl and thank you for all the information – your yoga class is great, always enjoyed attending! I have given birth on Monday to Stella who came to the world weighing 3.09kg. It was a natural delivery and I cannot thank you enough for all your great teaching. All I used was breathing, lots of visualisation, upright positions, hot shower and aromatherapy so lots of learning from yoga. No gas/air or other pain relief! “Hi Berndette, I attended your pregnancy yoga classes at the Arches and also came to a birth prep day in Feb and I just wanted to let you know how I got on. We moved home to west Wales at the end of Feb and our little boy came along on the 7th of April. I carried on practising yoga using your Yoga in Pregnancy CD until I gave birth and I just wanted to say thank you for all the advice. I found the breathing technique really helped me to get through each contraction and I managed to stay calm and focused and probably tried every position you taught me which also really helped. I had a little difficulty at the end, maybe because I didn’t have the will to do the perineum massage, but still managed to avoid any intervention or drugs. “I’ve been on two of Bernadette’s birth preparation workshops with my wife Jenni, and both have been invaluable! When our son was born three years ago, we went into hospital feeling really prepared, as we’d had our final session the day before Jen’s contractions started! All the techniques (breathing, positional, massage) that we’d been shown in the workshops helped Jen stay calm, positive and in control, and they enabled her to get into natural, open birthing positions. As her partner, I felt better able to help and encourage Jen myself, without getting in the way. I breathed with her, massaged her feet and shoulders when necessary, and tried to help her stay strong mentally. The workshop gave me a great deal of mental strength, too. “The birth preparation workshop gave me the confidence to feel that Tracy and I could take control of the labour experience and not rely soley on the hospital team. The exercises were fun and practical. They definitely helped. More importantly, the advise and support from Bernadette provided reassurance which helped us both relax and deal with the labour. The techniques to manage different stages of labour were very useful to Tracy and helped manage the transitions without the need to panic. The breathing exercises were especially helpful. “When Sophie asked me to be there at the birth as a labour supporter, I said yes instantly. I had spoken at length with my sister about this and she filled me in on what my role will be, yet I still felt a little bewildered. After attending the workshop, I felt much more relaxed and ready to support Sophie. Every stage of labour was explained in full detail which was easy to understand. It was all explained in a very clear and calm way, which helped to put me at ease. The practical parts of the workshop were particularly useful for me, leaving me much more confident and ready. The information handed out was great. During the labour I was able to help with some of the massages and the breathing. “I first met Bernadette several years ago when I attended her yoga classes at the Arches Leisure Centre in Greenwich. At that time, I was experiencing a number of health problems relating to my vegetarian diet and the fact that I was caring for my mum who has Alzheimer’s disease. Bernadette’s classes were a sanctuary for me as they gave me a space to ‘recover’ both mentally and physically, and to find spiritual happiness. Later I went into full-time employment and like anyone with an addictive nature, because I couldn’t attend all of Bernadette’s classes, I didn’t attend any! More recently, I have been searching for a space in which to find inner peace, along with good mental and physical health – I am still caring for my mum and I have been incredibly stressed. I tried to think of when and where I have been most happy and my thoughts returned to Bernadette’s yoga classes. After a bit of research, happily I found out about Bernadette’s yoga course at the Yogi Tree so I immediately signed up. My reason for wanting to return to Bernadette’s yoga classes specifically is because I achieved inner harmony and spiritual awareness, my concentration, and memory improved significantly and my physical and mental health improved to the point where I had never felt so good. Since rejoining Bernadette’s classes I have already begun to feel better and believe, no I know, I am on the road to recovery. Bless her. Bernadette practices what she preaches so to speak, so when she asks you about your health and injuries she is always mindful of what she has learned about you and adjusts your practice accordingly. Relaxation means relaxation. Moreover, her wealth of experience in yoga and complementary therapies means that your experience will be both peaceful and positive. “I can never thank Bernadette enough for introducing me to Yoga. I started out thinking I would probably not last more than a week or two but the classes are the highlight of my week. 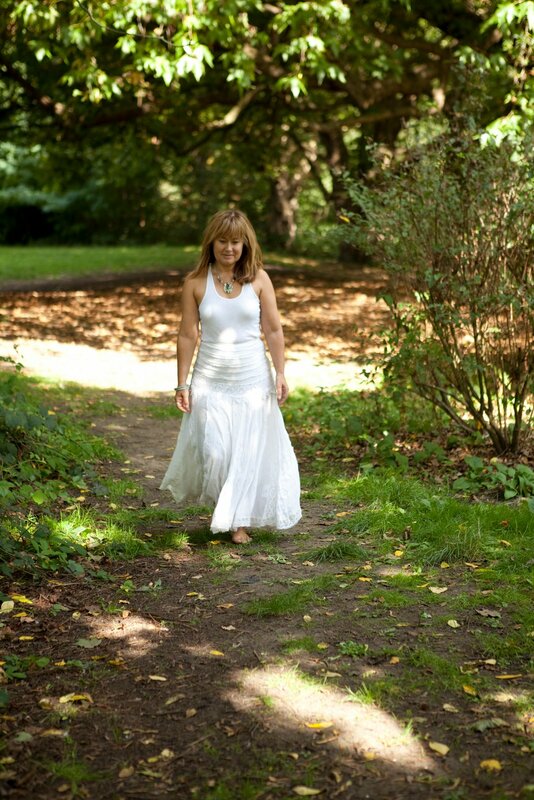 Bernadette is and excellent teacher with a calm, tranquil nature. She teaches in a way that is supportive and intuitive to the body and I have found easy to incorporate the exercises into my everyday life. “I have been coming to Bernadette for massage for a chronic condition and I know she is very skilled, dedicated and committed to her work. In addition to her skills in massage work, she has practised a number of other techniques on me in the areas of holistic or alternative therapies including Reiki, relaxation techniques, exercises and Indian head message. 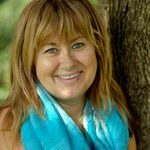 “In 30 years as an osteopath and founder of a natural health centre, I have known Bernadette as a yoga teacher and reiki practitioner. She is just about the best I have met. Bernadette’s reiki work has helped me personally in my recovery from breast cancer, during which time I have not had to resort to surgery or chemotherapy. 9 months ago I was told I needed a radical mastectomy and now when the surgeon examines me, he says he cannot be sure what he is feeling – if anything! Thank you Bernadette!